Consumer electronics company boAt has released a new wireless neckband style IEM, the boAt Rockerz 275. The IEMs features feature 12mm drivers with the now popular CSR8635 chipset and Bluetooth 4.1 connectivity. There's a 150mAh Li-Polymer battery powering the device that, according to the company, can provide up to 10 hours of usage. Check out more details below. boAt lifestyle, a brand recognized for its premium market-leading audio products with inspiring designs is now gearing up to become a prime player in the Indian market with the launch of boAt Rockerz 275, a wireless neckband style earphone. With the boAt Rockerz 275, boAt Lifestyle brings music to your daily routine in a seamless manner with Immersive High definition sound quality and a user experience like none other. boAt Rockerz 275 Wireless Earphones comes with an amazing commixture of style with performance that will make your listening experience personal & real. The powerful 12mm dynamic drivers & Premium CSR8635 Chipset produces ample amount of sound, & harmonizes every possible note enabling the earphones to deliver an energetic, powerful & inspirational sound while keeping the bass level high. boAt Rockerz 275 provides powerful bass at a wide Frequency range of 20Hz - 20kHz, while the HD Clarity sound makes you feel the waves. The boAt Rockerz 275 utilizes a gleaming housing, flexible headband & an in-ear design to create a seal between the ear tips & your ear canal providing a locked-in, comfortable, noise-isolating in-ear fit for any activity while delivering clear and dynamic sound. boAt Rockerz 275 comes with the most advanced Bluetooth technology & Premium CSR 8635 Chipset. Bluetooth 4.1 specifies the reconnection timeout intervals for the devices to the best possible battery life. Advance Audio Distribution Profile (A2DP V1.2) will stream your high-quality music intact and Audio/Video Remote Control Profile (AVRCP V1.4) is designed to provide a standard interface to control your device. 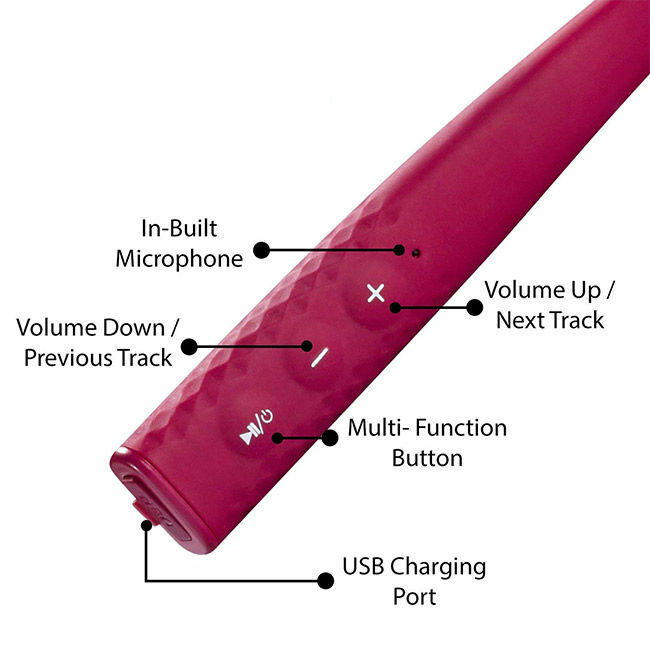 The 150mAh rechargeable Li-Polymer battery delivers up to 10 hours of audio excellence. From music to movies, videos and so much more. It’s all in a day’s work for the boAt Rockerz 275 wireless earphones. One can get a full charge in just 2 hours with the included USB cable and just 20 minutes of charging will give you 1-2 hours of run time, giving you endless enjoyment backed with a standby of 200 hours. The IPX5 rating combined with the lab-tested sweat and water-resistant design allows you to be carefree about your earphones. boAt Rockerz 275 can be connected with two phones or two Bluetooth devices at the same time. When it’s playing music from your laptop and your cell phone starts ringing, the music is automatically paused and the headset channels the cell phone calls seamlessly. One can also get instant call alerts with the inbuilt vibration alert feature. 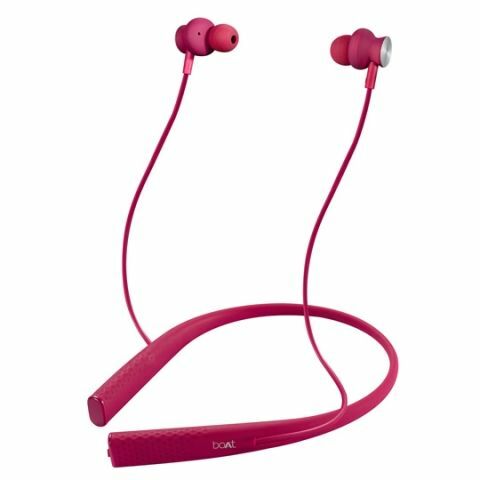 The earphone is priced at 3990 INR, although it’s available at an introductory price of 2499 INR on Amazon.in and carries a 1-year warranty from the date of purchase.